The British Broadcasting Corporation (BBC) is an institution known and respected the world over for its relative impartiality and objectivity compared to many other news sources, with numerous surveys showing that the BBC is one of the most trusted sources of news in both the UK and the US. But we’re not here to talk about that. We’re here to talk about dinner jackets, Received Pronunciation, the Nazis, and what all of this has to do with the BBC News. Back when the BBC was first launched in 1922, the first General Manager of the corporation, Scottish engineer Sir John Reith, was insistent that the BBC be as formal and quintessentially British as possible, and he created a number of rules towards this end. (Fun fact: Reith had no experience with anything related to broadcasting when he applied to manage the BBC). 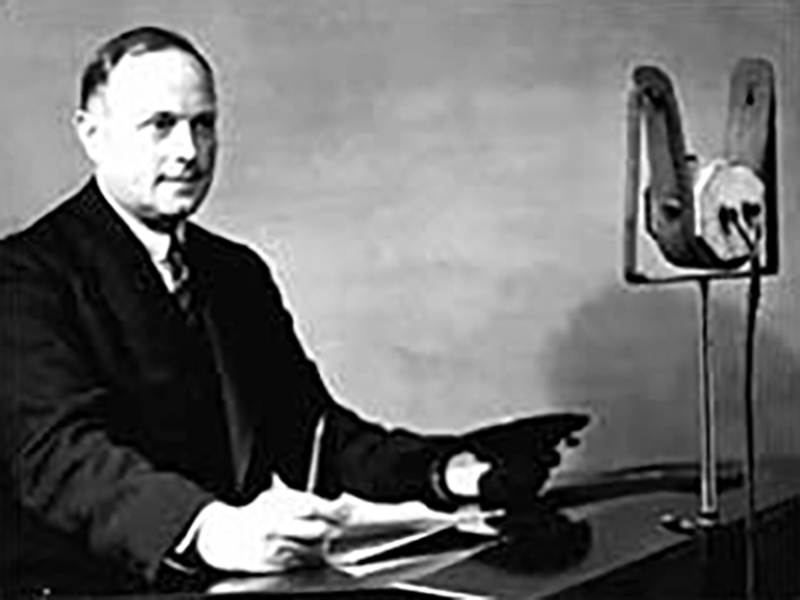 One thing in particular Reith stressed when he first helmed the BBC is that the newscasters spoke the “King’s English“, known today as “BBC English” or more technically “Received Pronunciation”, as he felt it was “a style or quality of English that would not be laughed at in any part of the country”. Reith was also aware that the broadcasts might be played abroad and felt that a regional accent would be difficult for non-Britain’s to understand. We have made a special effort to secure in our stations men who, in the presentation of program items, the reading of news bulletins and so on, can be relied upon to employ the correct pronunciation of the English tongue… I have frequently heard that disputes as to the right pronunciation of words have been settled by reference of the manner in which they have been spoken on the wireless. No one would deny the great advantage of a standard pronunciation of the language, not only in theory but in practice. Our responsibilities in this matter are obvious, since in talking to so vast a multitude, mistakes are likely to be promulgated to a much greater extent than was ever possible before. First defined in 1869 by linguist, A. J. Ellis, Received Pronunciation basically entails pronouncing your words “properly” as they are written in the dictionary. Although the general idea behind Received Pronunciation is to attempt to remove a person’s regional accent, it is nonetheless commonly associated with the south of England and the upper class. Meaning that although Received Pronunciation masks a person’s regional background, it says a lot about a person’s social upbringing and how they were educated. With this in mind, although one of Reith’s goals in using RP was to appeal to the widest audience possible, many listeners still felt alienated by the broadcasts being beamed into their homes because of this “upper class” accent being used. Despite this, newscasters were required to use Received Pronunciation right up until World War 2. Why did this change during the war? The Ministry of Information was worried about the Nazis hijacking the radio waves. You see, during World War 2, Nazi Germany invested a lot of time and money in training its spies and propagandists to speak using perfect Received Pronunciation so that they could effectively pass as Brits. Thus, the Ministry of Information became quite concerned that the Nazis could potentially issue orders over the radio in a voice that would be indistinguishable from one of their own newscasters. In addition, the then Deputy Prime Minister, Clement Attlee, noted the aforementioned fact that the total monopoly newscasters with upper class sounding voices had on the news was offensive to the working class. In any event, as a result of the concerns of Attlee and the Ministry of Information, the BBC hired several newscasters possessing broad regional accents that would be more difficult for Nazis to perfectly copy and would hopefully appeal to the “common man”. In fact, by 1949, Pickles himself noted that because of his accent, he had become the “central feature in a heated national controversy”, during which Pickles was frequently made fun of by various London cartoonists and in other forms of popular media. Nonetheless, after the end of World War 2, the BBC continued to loosen its guidelines and with the advent of more localised news, began to hire more people who spoke with the respective accent of the region they were being broadcast. That said, the BBC does continue to generally use newscasters with more mild accents in international broadcasts to make sure they are as understandable as possible to those audiences. Although the idea of there being no news is laughable today, on the 18th of April in 1930, the BBC genuinely announced to the nation that there was no news and instead played a short piece of piano music. As it turns out, the British government wanted to cover up an unflattering interview the Home Secretary had given to a newspaper and had informed the BBC not to cover it. Since the interview just so happened to occur right before Easter weekend, through which no newspapers would be printed, the BBC were left with literally nothing else to report. Although Received Pronunciation is seen as the definitive way English is supposed to be spoken, the father of the dictionary, Dr Samuel Johnson didn’t include any guide on pronunciation in the original dictionary in 1757, only including pronunciation guides on a few choice words, because there was no accepted way of pronouncing words back then. The idea of there being a definitive way of pronouncing each word in the English language wasn’t popularised until the release of The Outline of English Phonetics written by English phonetician Daniel Jones in 1918 nearly two centuries later. In a 2008 study testing the perceived intelligence of different British accents, the Yorkshire accent used by Wilfred Pickles was voted by listeners as sounding more intelligent than Received Pronunciation. Throughout the 1930s, several BBC newscasters became celebrities in their own right and were so popular it’s noted that if one coughed on air, concerned listeners would send the BBC cough sweets and warm sweaters for them to wear. So in the U.K., with received pronunciation, is that kind of like our newscasters here using General American English? (Which is my native accent, but as I have lived in the south for a long time, there’s a lot of southern mixed in). Although the BBC has a reputation for impartiality, this comment in the Bonus Facts: “the British government wanted to cover up an unflattering interview the Home Secretary had given to a newspaper and had informed the BBC not to cover it” would suggest otherwise. Impartiality and censorship are two entirely different things.